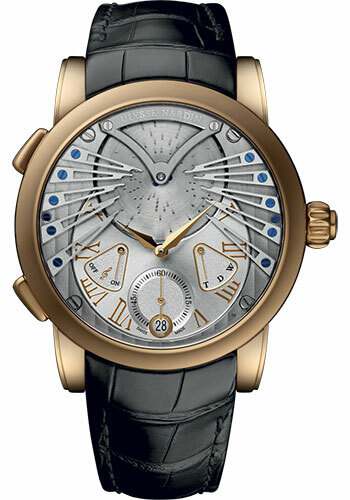 45mm 18K rose gold (5N) case, unique crown concept, sapphire crystal, Caliber UN-690 Self-winding movement with musical timepiece, small seconds-hand, unique crown concept. Date, leather strap, folding buckle. Water resistant to 30m.